The Enhance Companies specializes in the construction and installation on complete hardscape packages. Schedule an appointment to have a certified design specialist develop a custom hardscape package tailored to your outdoor area. 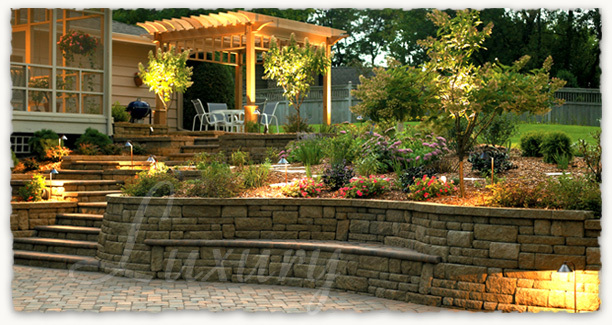 The Enhance Companies can develop a custom hardscape package consisting of any of the following components brick pavers or brick paver tiles, outdoor kitchens, pergolas & arbors, retaining walls, outdoor lighting, permeable & environmental pavers, vinyl, aluminum, & wood fencing, and custom wall block planters & benches.